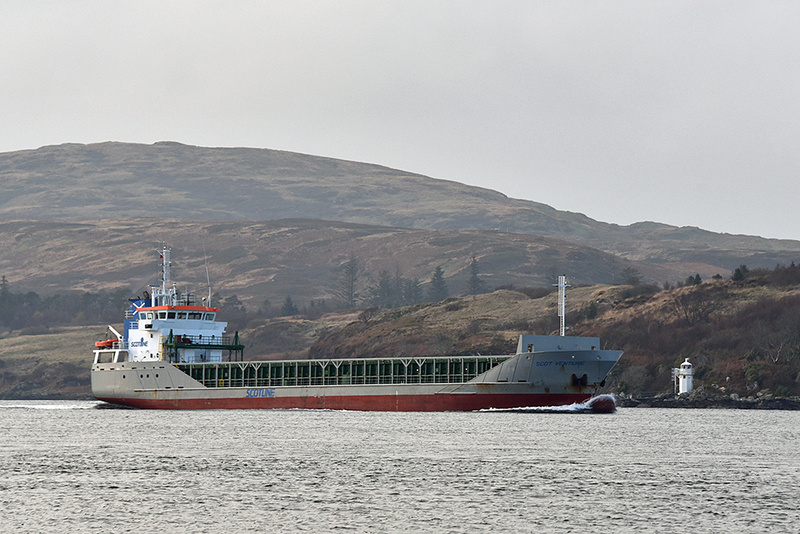 Seen from Jura on a November morning, the Scot Venture travelling up the Sound of Islay on her way north. The small lighthouse at Carraig Mhòr visible on the Islay shoreline. This entry was posted in Cloudy Weather, Jura Excursion, Landscape, New Post and tagged Carraig Mhor, Islay, Jura, Sound of Islay by Armin Grewe. Bookmark the permalink.